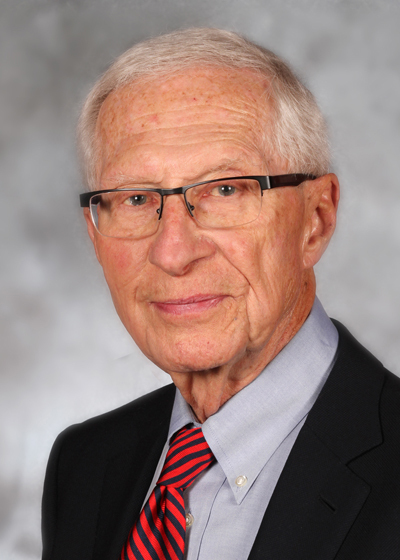 Dr. Pearlman is a retired-founder of Colorado Allergy & Asthma Centers®. Dr. David Pearlman founded Colorado Allergy and Asthma Centers with Drs. Avner and Buckley in 1972. He is certified by the American Board of Allergy and Immunology, for which he also served on the Board of Directors. He is also certified by the American Board of Pediatrics. Dr. Pearlman attended Cornell University and received his Doctor of Medicine from State University of New York at Syracuse. He received his training in pediatrics at the University Hospitals of Cleveland and at the University of Colorado Health Sciences Center, where he also had a post-doctoral fellowship in immunology. After a fellowship in pharmacology at the National Institute for Medical Research in London, England, he returned to the CU Medical School as Director of Pediatric Allergy before leaving in 1972. He was honored with the Distinguished Clinician Award of the American Academy of Allergy, Asthma and Immunology and The American Board of Pediatrics, CU Medical School and the Joint Allergy and Asthma Task Force for outstanding contribution to the field of allergy and immunology. He has been listed in various publications as one of the Best Doctors in the U.S. since 1980. Dr. Pearlman maintains an academic appointment at the University of Colorado Medical School as a Clinical Professor of Pediatrics. He continues to be active in allergy and asthma research and has published over 150 articles and texts to inform physicians concerning advances in this field.